It was a special privilege to shoot this wedding: White Plains’ first gay marriage! 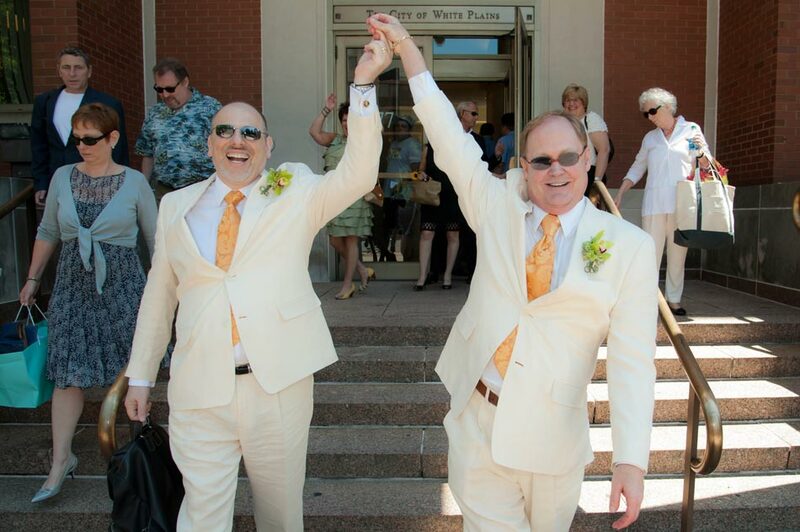 And Dennis and Michael did the new freedom proud: stunning in matching tuxes and ties. Were there ever newlyweds who glowed more? And that’s after being together for decades! Before heading off to celebrate at Serafina with family and friends, Judge JoAnn Friia offered the couple final words of advice: “Now don’t fight!” After 21 years together, we’re not worried. First gay wedding in White Plains courthouse.